Chinese smartphone manufacturer Gionee will be releasing 8 bezel less smartphones on November 28. 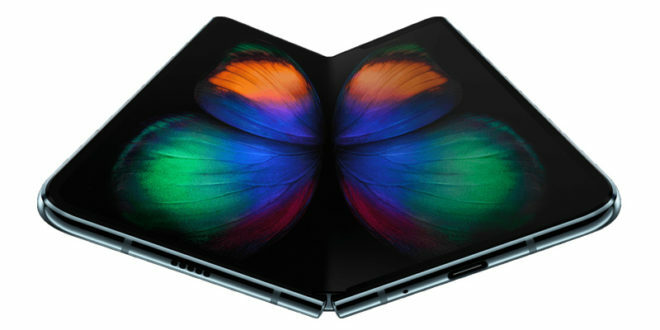 So its natural the smartphones are benchmarked. 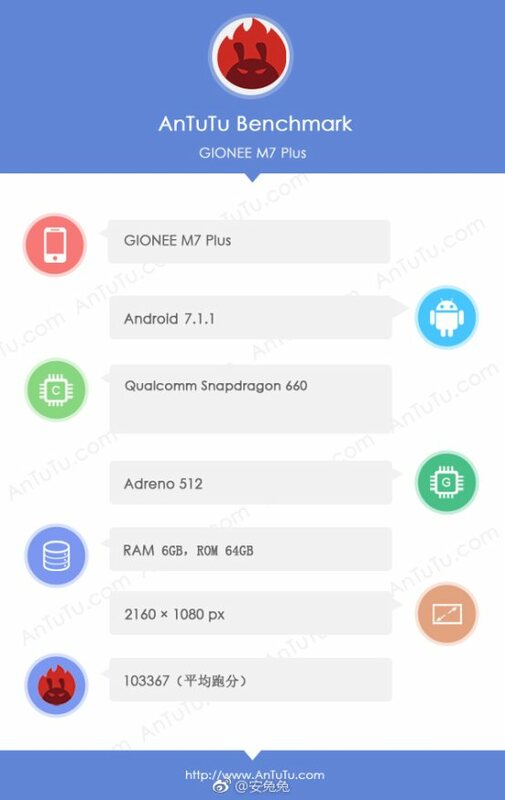 Today Gionee high-end flagship the Gionee M7 Plus has appeared on the benchmarking website Antutu and GFXBench which revealed some of its specs. The spec sheet from Antutu has revealed the device will have a display will have a resolution of 2160 x 1090 pixels. 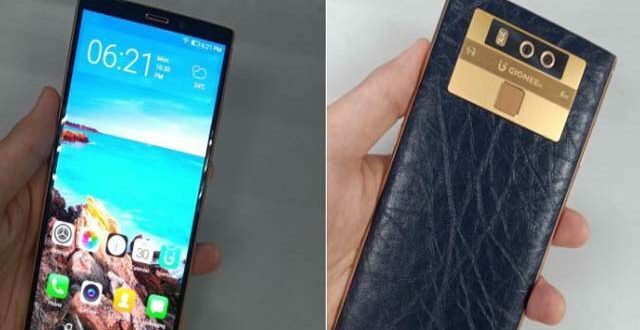 Now an image of the Gionee M7 Plus was previously leaked by famous tipster Evan Blass which revealed the full-screen display to be of 6.43-inch will be the largest display smartphone by Gionee till date. The screen will be an AMOLED from Samsung. The Antutu spec sheet informs that the device will be powered by octa-core Qualcomm Snapdragon 660 processor built on 14 nm LPP process clocked at 2.2 GHz along with a Qualcomm Adreno 512 GPU. 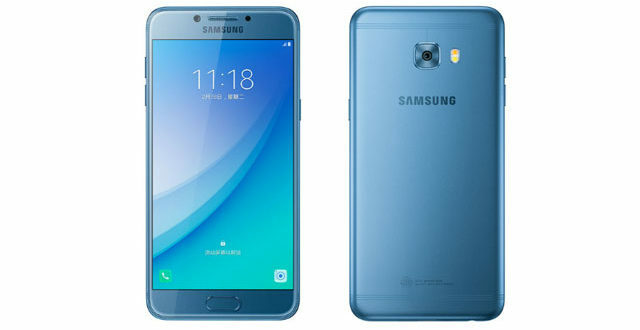 It is coupled with 6 GB of RAM and 64 GB of internal space.The device will run on Android 7.1.1 Nougat. The GFXBench spec sheet reveals the same data but mentions the screen size to be 7.5 inches which are not commonly seen. 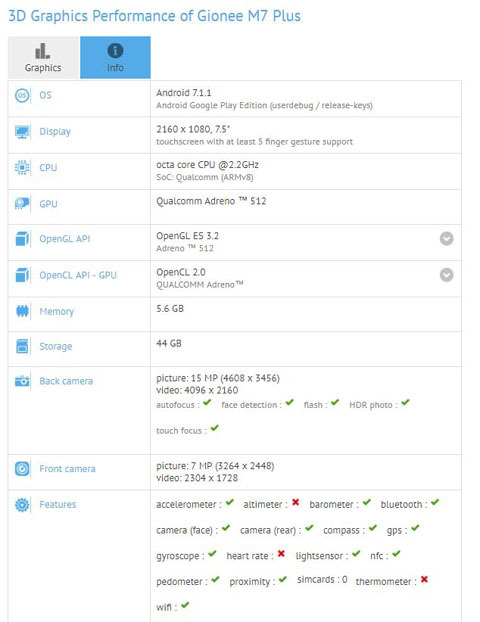 GFXBench also reveals the back camera to be of 16 MP which can even shoot 4k videos. It offers camera modes like autofocus, touch focus, face detection and HDR. 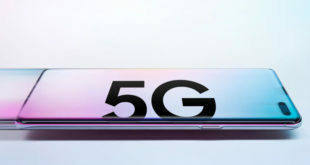 The front has an 8 MP which can also shoot 4K videos. Connectivity features include Wi-Fi, Bluetooth, NFC and GPS. It will come with sensors like accelerometer, barometer, pedometer, proximity, heart, light and digital compass. The Gionee M7 Plus scored a whopping score of 1,03,367 points on Antutu. 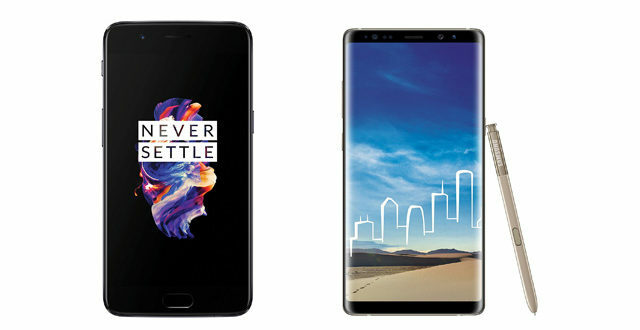 To give you an idea the Oneplus 5 scored 1,70,666 points on the same. 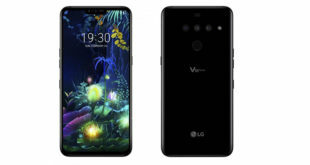 From the previous leak, we know the smartphone will be sporting a dual camera setup on the rear accompanied by a LED flash and a square-shaped fingerprint sensor. These three objects are encased in a gold-plated rectangle carrying the company name. The back has a leather panel giving premium looks. The Gionee M7 is also said to feature high-efficiency wireless design as hinted by @Evleaks also known as Evan Blass. There is no news about the battery or pricing, but it will be priced higher than the Gionee M7 and the M7 Power which was launched recently. The device will be unveiled on November 28 with seven other smartphones which are speculated to be the Gionee M2018, Gionee F6, Gionee S11 and S11 Plus all of them having bezel less 18:9 display.